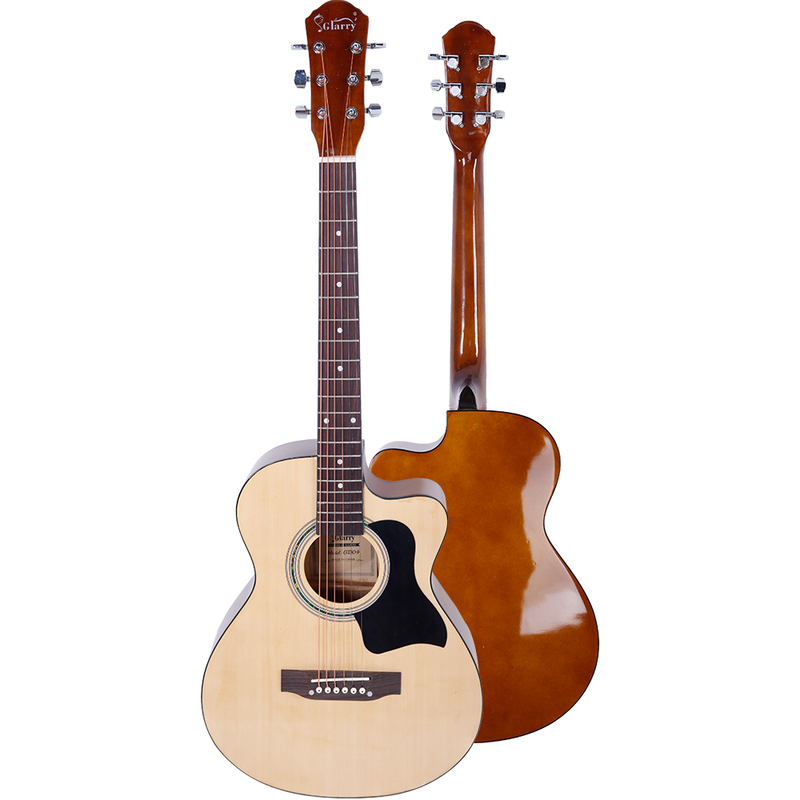 Glarry GT304 38inch Cutaway Spruce Front Folk Acoustic Guitar, which is good for a beginner. Why is good for beginners? Because it has a good pitch, good touch and good voice. Good pitch, let you stay away from the guitar that “sings” off tune; it feels more smoother, which let you can change the position quickly, and play it easily; the more you play, the better the guitar. 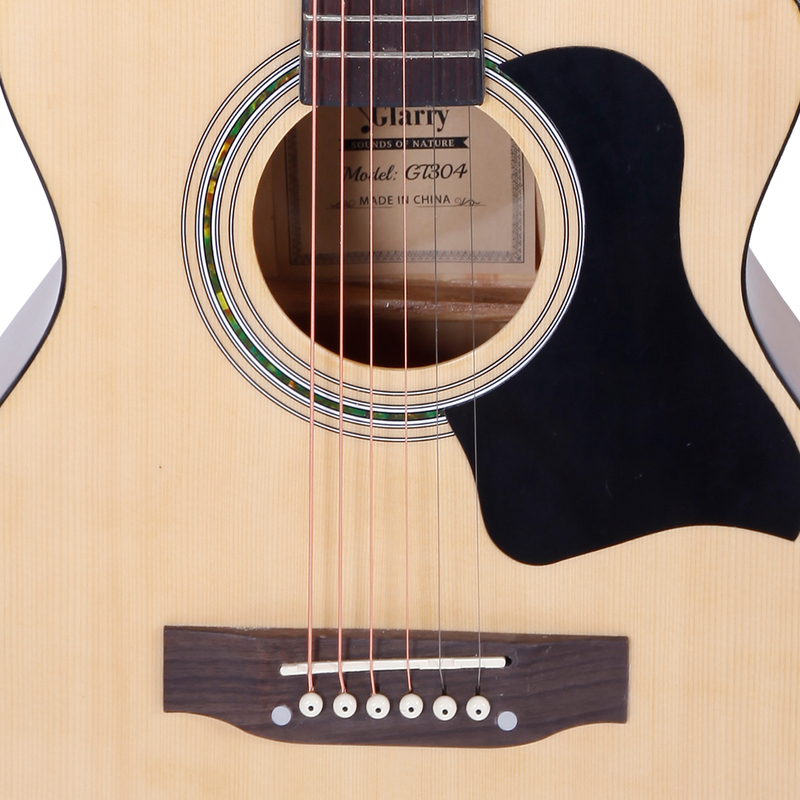 The Glarry GT304 38 inch Spruce Front Cutaway Folk Guitar is meticulously crafted with a spruce front and basswood back and sides, producing a nice mellow tone with crisp highs and powerful bass. 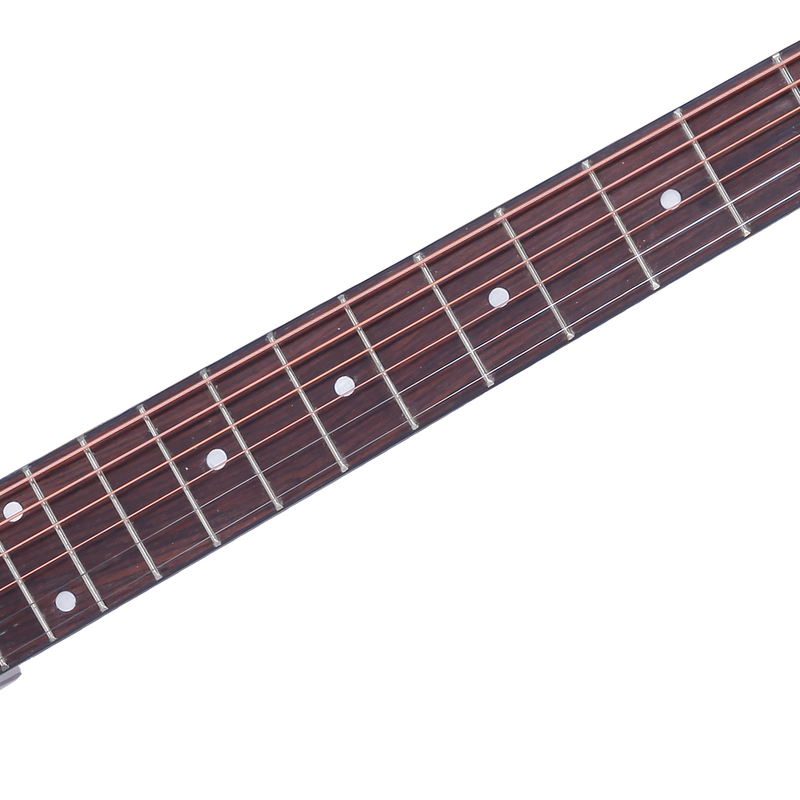 Rosewood fingerboard has a smooth surface that is stable and impervious to string wear. 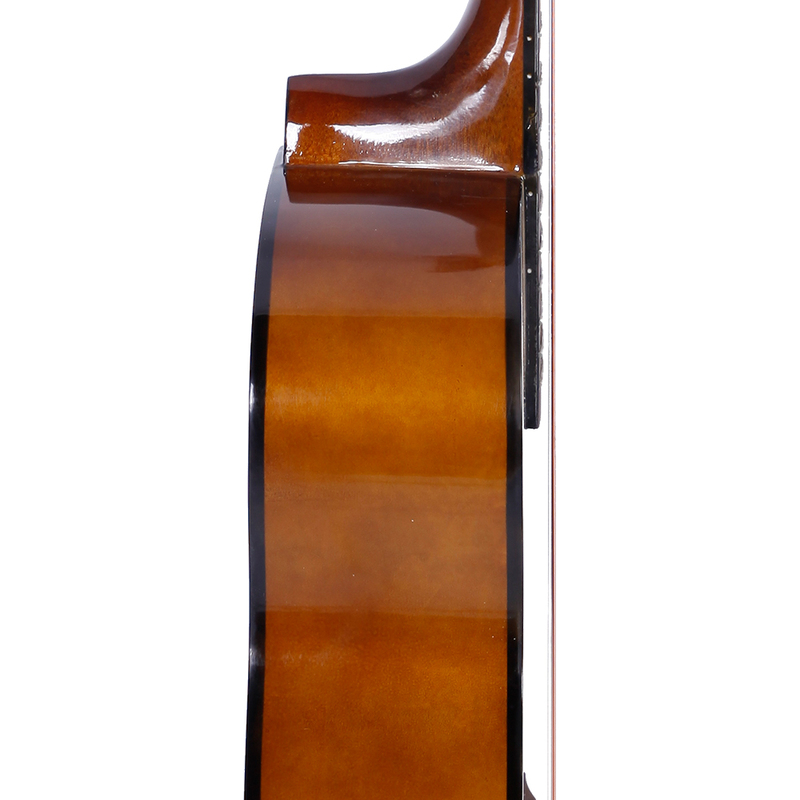 A classical body design with a single cutaway allows for easier access to all frets. 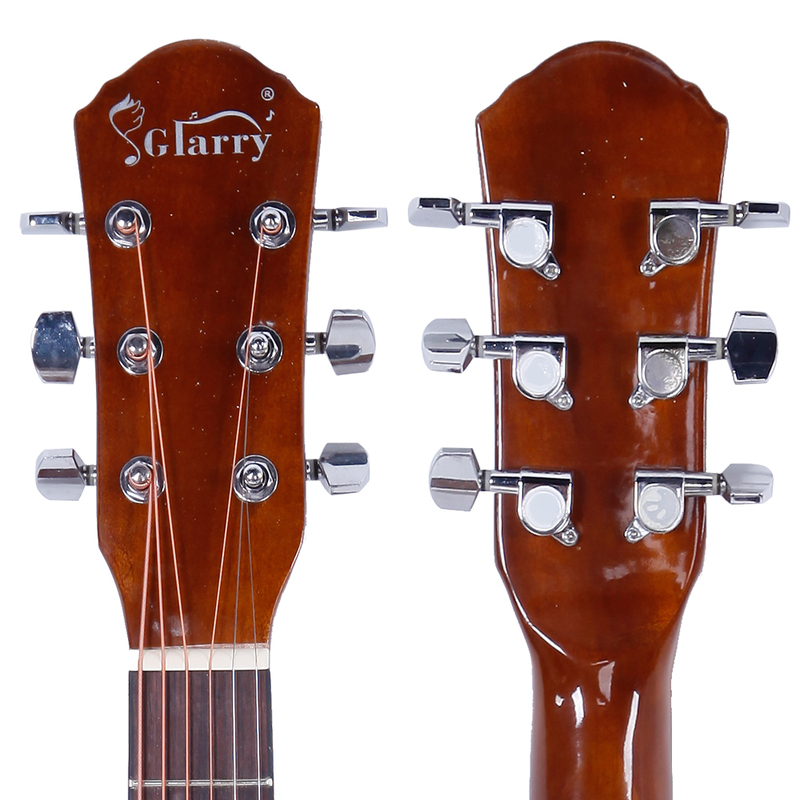 Half enclosed knobs offer easy adjustment of strings. Moreover, the guitar comes with a bag, a protective board and a wrench. Click and order now!